Just a short walk from the Benaulim beach, this home is located on the Vasvado road in Benaulim. Goa Chitra Museum is located about a kilometre away from the hotel. 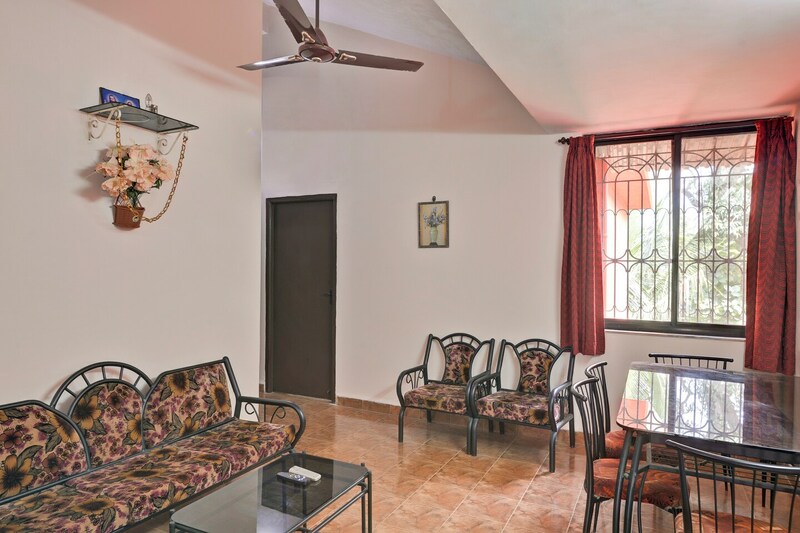 Homes are always better when traveling with family or small kids for the convenience they provide and so does this home the simple vibe, the functionality and fully furnished apartment satisfies your need of feeling at home quite literally. This home provides kitchen with fridge, AC, TV and geyser in all rooms and has a designated dining area. The place also offers parking facility. Papai's Corner, Dinha's, The Farmhouse Bar & Bistro, Firefly Goan Bistro Bar and Johncy are located nearby this property.